Thankfully, the world is full of mysteries. 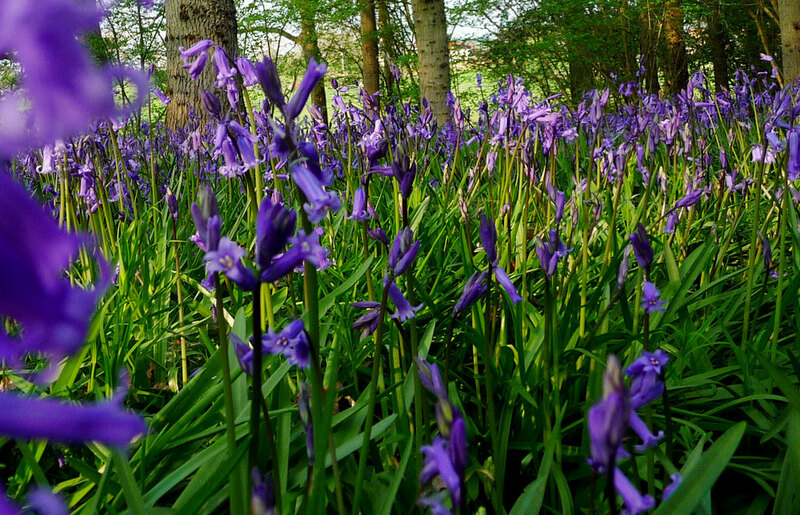 Where do they get that extra-ordinary, almost hallucinogenic quality that somehow manages to transform – albeit briefly – even the most prosaic patch of woodland into a place of wonder? To make a simple walk in the woods like wading through some kind of mysterious lake, a trip into the wild blue yonder. Perhaps it’s the colour. Nigh-on impossible to photograph satisfactorily (at least with a simple compact digital like mine), although I haven’t stopped trying. Even harder to describe properly, because whatever else they are, they’re not really blue, not in the normal, everyday ‘like the sky’ sense of the world. Closer to violet, often, but that’s not it either. It’s a strange colour, amongst the usual forest spectrum, and it shifts. 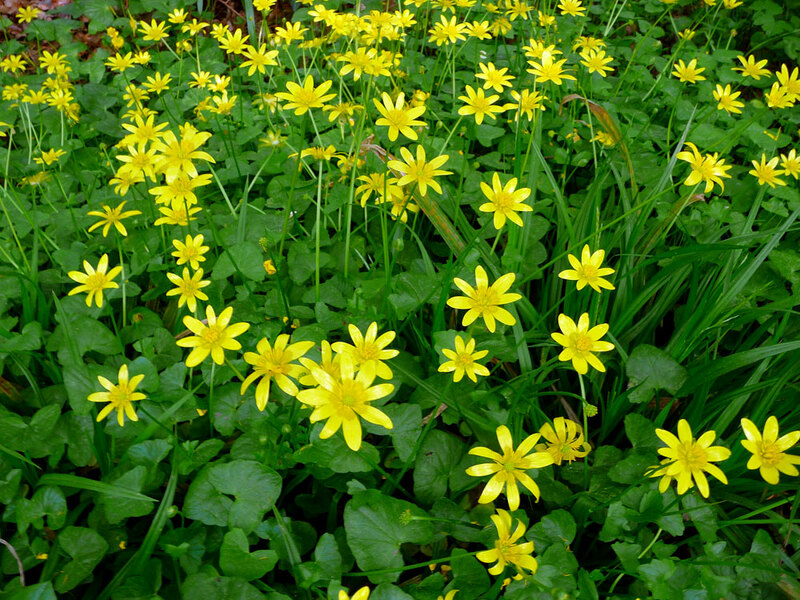 Look at an individual flower closely and it can look dark, almost purple, depending on the light, but lift your gaze and take in the whole marvelous carpet between the trees and you’d swear it’s lightened several shades. The scent is equally hard to pin down – not strong, not especially floral as such, not unpleasant either…I find it strangely vegetal, it creeps up on you. Sitting cross-legged in the middle of the path, peering intently at the screen on the back of my camera it takes me a while to notice…mind you, I’d be the first to admit I’m not what you’d call nasally acute. It’s no surprise that they’re associated with fairies and the supernatural in many cultures. 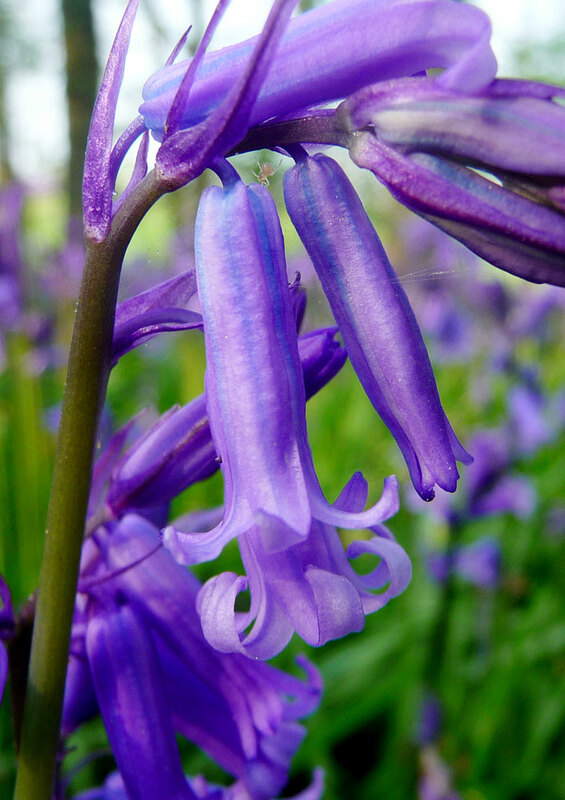 If ever a flower deserved to be described as ‘fey’ (in the original sense of ‘otherworldly’ or ‘unnatural’ or even ‘possibly dangerous’) the Bluebell is the one. For it’s extraordinary colour, strange scent, the dreamlike carpeting and not least for the impossibility of capturing or keeping it. Try and pick one (there’s always a sad few scattered on the path) and it will die so quickly you can almost see it fading away in your hand…unnaturally quickly, so quickly that it’s impossible to pretend it wasn’t you. You’re bound to have brought bad luck on yourself, at the very least. Perhaps it’s their remarkable profiligacy – swathes and swathes of them, great drifts of that entrancing colour spreading between the trees with abandon. 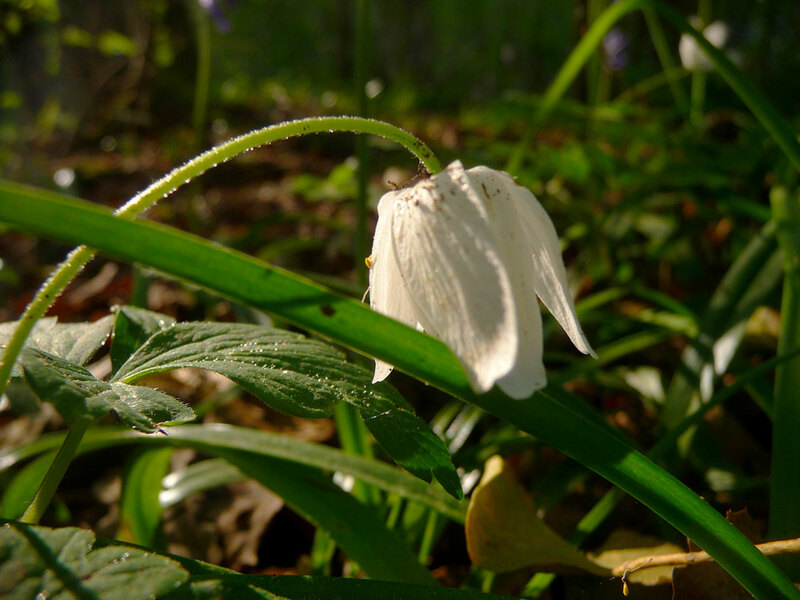 Not like your normal woodland flower at all – small, close to the ground, usually a modest white or at most yellow and more likely to grow either singly or in small clumps – perfectly adapted to grow in the shade, with little nutrition on poor soils. 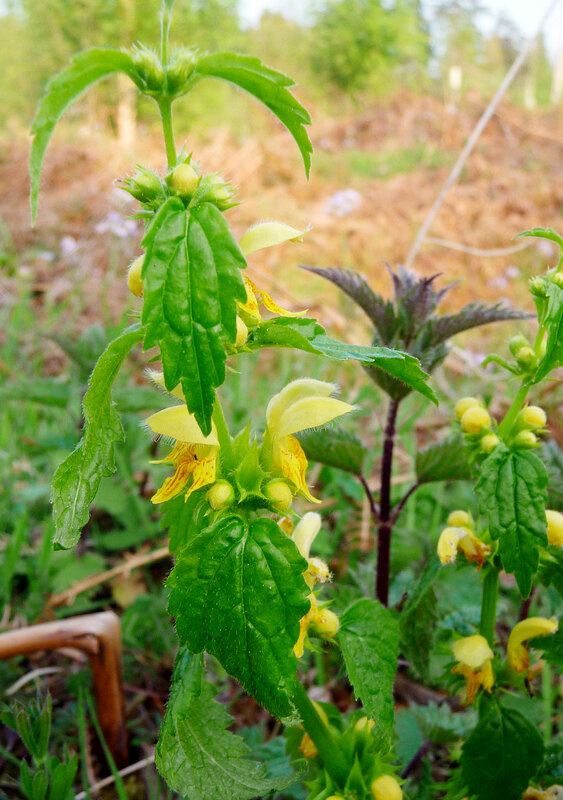 Even the splendidly baroque-sounding Yellow Archangel turns out to be essentially a posh type of nettle, and you have to look carefully to spot them. I eventually make it back to the car, and am more than usually thankful.